new information access practices, including complementing publisher subscriptions with on-demand research retrieval. Track and control an unmediated access system. Elevate and adapt the knowledge manager's role. 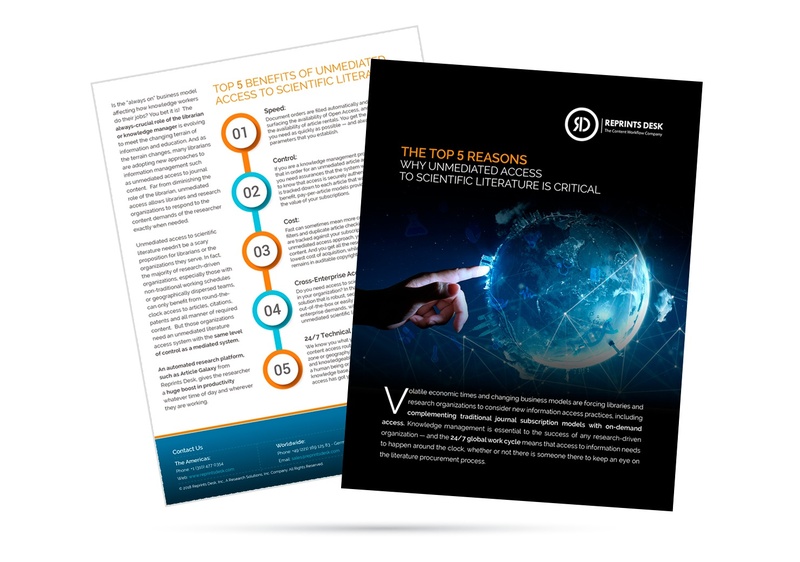 Download your complimentary guide to find the top reasons why unmediated access can positively impact research productivity.